Most fondly remembered for her starring role as “Cissy” in the long running CBS international television hit, “Family Affair”, Kathy Garver has also garnered critical acclaim in movies, stage, radio, voice-over animation, and audio book narration. Ms. Garver has used her wealth of experience and education to entertain and instruct thousands of people with her exciting and successful motivational and interactive speeches and presentations. 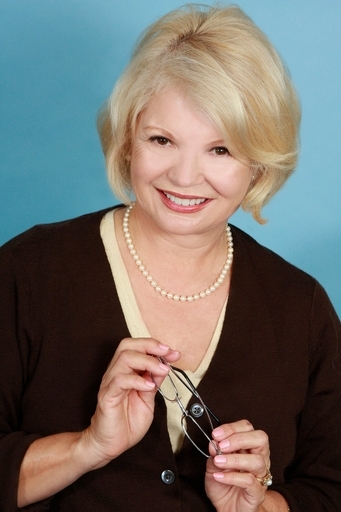 From Keynote speaker to host to workshop leader, Kathy Garver has enriched the lives of those who have been able to listen and learn from her inspirational communications. Kathy was in born in Long Beach, California to Hayes and Rosemary Garver joining her sister, Beverly, and brothers, Hayes, Jr. and Lance. Beverly entered UCLA at a precocious 15 years old at the time Kathy started working professionally. During Ms. Garver’s teenage years, Kathy added radio and stage to her burgeoning film and television career. Ms. Garver was a freshman majoring in speech at UCLA when she was tested for a television series entitled Family Affair. Kathy, deemed “perfect” to star as “Cissy” with Brian Keith as “Uncle Bill” and Sebastian Cabot as “Mr. French” performed for five years in one of the warmest and most enduring series of the 1960’s and 70’s. With Anissa Jones as “Buffy” and Johnny Whitaker as “Jody” the show continues to be popular today pleasing old and new audiences world wide – a true classic. After “Family Affair”, Kathy starred in an Israeli musical stage version of the TV series, having to learn Hebrew phonetically for her role. Later, she continued her dramatic studies at London’s prestigious Royal Academy of Dramatic Art, where she portrayed Juliet in Romeo and Juliet. Dramatic and comedic productions in the states followed including starring roles in My Fair Lady, Sunday in New York, A Midsummer’s Night Dream and the Trojan Women. Ms. Garver retuned to UCLA to earn a Master’s Degree in Theater Arts. With the famed impresario James Doolittle of the James Doolittle Theater in Los Angeles, nee the Huntington Hartford Theater, Kathy appeared in and produced with Mr. Doolittle many traveling stage productions, “Vanities”, being just one of their immense successes. Today Kathy Garver is an accomplished and versatile actress, appearing in such films as Sweet November, The Princess Diaries, MOW'S such as FBI Murders and Stay the Night with Guest Star roles on many TV shows. She is a sought after celebrity on Game shows, winning top money for charities as she did on “Street Smarts” and other reality programs. Kathy is also very much in demand for her numerous vocal characterizations. She’s a stand out in the very competitive field of voices overs for cartoons, commercials, toys and audio books. She voiced, “Pepper" an automotive whiz in the Chuck Norris Karate Kommandos series and “Firestar”, a mutant super hero in the Spiderman and his Amazing Friends TV series. Ms. Garver produced, narrated and wrote lyrics and original music for eight audio Beatrix Potter tales and eight Mother Goose based audiotapes for Smarty Pants, Inc. Kathy’s Beatrix Potter tapes have sold over two million copies and have won numerous awards. Ms Garver has also won two Audie Awards, one for her narration of The Worlds Shortest Stories, the other in 2004 for her direction of Amy Tan in The Opposite of Fate read by the author. Kathy has recorded books for Brilliance Audio, Dove, Listen and Live and can be downloaded at the Timberwolfpress.com site. Her voice has been heard in Apollo 13 (which was awarded the Academy Award for sound), Ransom, Back Draft and Jingle all the Way, all directed by Ron Howard. Kathy has electrified the talk show circuit entertaining audiences with tales of her life long career in show business. She’s chatted with Geraldo, Sally Jesse, Mary Hart, Maury Povich and many more. Some of the lively discussion centers on the modern woman juggling marriage, career, and family all handled with laughter and aplomb. Having served on the board of the Young People's Committee of the Screen Actors Guild and as a volunteer for Book Pals, Kathy has used her experience to help guide new actors in the business. She is also in involved in such charities as Child Help (which aids abused children) Rose Resnick Light House for the Blind and Make a Wish Foundation. Appearing with Tim Curry in the remake of Family Affair Kathy helped guide the production. She is now involved in doing the wrap a rounds for the release of the classic Family Affair on DVD. Ms. Garver appears at gatherings, luncheons and conventions to give motivational speeches about “The Power of Perseverance” and “Speak Clearly to Communicate Richly”. She is also in great demand for appearances, autograph shows and promotions through out the country. Recently launching “Tinker Dust” productions with Ron Bruggel and Margaret Kerry (Tinker Bell), “Dine with Celebrities" events have been set up around the country to provide fun and festive events for country clubs, corporate clients and to garner money for various charities - multiple sclerosis being one of the major beneficiaries. She also produces the Eddie May Comedy Murder Mysteries Dinner theater events, primarily in Northern California, but she says, “Have Show, will Travel!” Kathy also performs her own inter active one-woman show “Streaks and Tips” on Cruises and at other venues. Having majored in speech at UCLA, Kathy teaches speech, diction, narration, ADR and how to voice audio books and toys in San Francisco at Voice One Studios, Santa Rosa at American Eagle Studios, LA at MJ Lallo Studios, and other cities throughout the USA. Obviously, Kathy doesn’t suffer from the sometimes-exaggerated maladies common to former child actors. “The hardest thing is being accepted as some one who has depth,” she says. “Fortunately my parents stressed education and normalcy all through my childhood and during my Family Affair days. In learning to think and work independently, I firmly believe in hoisting ones own sails. For all her accomplishments and future plans, it seems Kathy's sails will be billowing in some very favorable waters for quite some time. Kathy is available for corporate events, hosting, emceeing, moderating groups, giving lectures, workshops, key note addresses and tailoring specific programs for the needs of her clients. She includes workbooks and takes home audio albums for her clients and audience members. To book Kathy for film, TV, stage, radio, VO, appearances or speaking engagements please refer to the representative contact information page.